Full-year bookings revenue was basically unchanged vs. “a very tough comparable” of 2015, while revenue grew 8 percent. President Zane Burke says that “2016 was disappointing from an ITWorks perspective,” referring to the company’s IT management services. Population health revenue grew 13 percent in 2016. Non-US revenue grew 6 percent on the year vs. 9 percent growth in domestic revenue. The company touted its Value Creation Office that will work with clients in a joint governance model to make organizational improvements, with Cerner going at risk to earn a share of the financial outcome. The migration of former Siemens Health Services clients is about halfway through, with a Cerner win rate of 80 percent. From Radar Love: “Re: tracking HIMSS attendees. You said it was gone from badges, but it’s back in the HIMSS conference app.” The HIMSS17 app from Canada-based Sherpa Solutions boasts geolocation services that allow attendees to find each other and apparently for exhibitors to track them (“leverage this innovative tool to reach the right people and boost their ROI.”) It also invisibly monitors attendees – which booths they visit and how long they spend there – so the conference organizer can “implement new pricing strategies, boost your booth space revenue, and design your most effective floor plan ever.” Seems pretty big-brotherish coming from an organization that runs privacy conferences. The app warns that it tracks location even when it’s not open and eats up your phone’s battery power accordingly. Pass. From New Girl In Town: “Re: stress levels. I’m new to HIT (January) and feeling overwhelmed. Maybe this wasn’t the right industry for me.” I can assure you from experience that health IT has clearly defined seasons and this is the busiest one. January 2 until the HIMSS conference is an absolute madhouse of strategy-setting, PR, and business moves and everybody gets frazzled. A couple of weeks after the conference ends, everything quiets down by 60 percent, and then the summer doldrums begin in May and last until after Labor Day, when the second season runs until Thanksgiving. It may continue to be overwhelming if you work for a fast-growing or fast-failing vendor, but for most of us, a return to a more normal pace is imminent. The HIMSS conference is like the Super Bowl – it’s all you hear about for weeks before and the week after, but then nothing much happens for months. From Taped Tie: “Re: the Andy Slavitt interview. It’s unusual that you ran it in two parts, the second on a Friday. The Twitterverse was all over it.” The conversation ran longer than usual, so I split it up to make it less burdensome to read in one sitting. Readership is usually a bit lighter on Fridays as people are traveling home and otherwise wrapping up their work week, but the site got around 6,000 page views that day. More importantly, since I run full interview transcripts and don’t give the interviewee a chance to see my questions in advance or to edit their responses afterward, it’s an unfiltered look into what he’s thinking. Speaking of the interview, here’s a fun behind-the-scenes fact – I had told Andy I would need 30 minutes, and as we were getting close to the bottom of the hour, he graciously alerted me that NPR would be calling at any moment, but he would put them off if I needed more time. From Nurse Analyst: “Re: Presence Health (IL). Just announced Cheryl Rodenfels as SVP of IT operations after serving as interim since Deceber 5, 2016.” The forwarded internal announcement and her LinkedIn profile say just that. New poll to your right or here: What would most entice you to interact with a HIMSS exhibitor you don’t know much about? Welcome to new HIStalk Gold Sponsor Diameter Health. 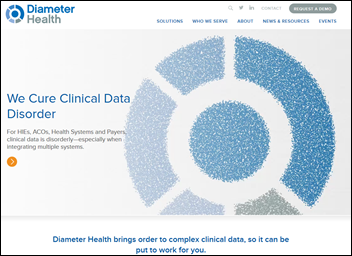 The Farmington, CT-based company’s platform aggregates and normalizes EHR data for use in clinical and analytic applications by health systems, ACOs, HIEs, and health plans. Its Fusion core product scrubs and enhances EHR data using parsing, natural language processing, and proprietary logic to standardize, classify, de-duplicate, and enrich clinical data to create a single, longitudinal patient view that can be exposed via its API. Other products include Analyze (clinical data quality ratings and dashboards); Envision (detects gaps in clinical documentation); and Predict (identifies high-risk patients). The company’s CEO is industry long-timer and biomedical engineer Eric Rosow (Premise, Allscripts). They’ll be at the HIMSS17 Interoperability Showcase, Booth 9000. Thanks to Diameter Health for supporting HIStalk. I found a brand new explainer video for Diameter Health on YouTube. Welcome to new HIStalk Platinum Sponsor Salesforce. Salesforce Health Cloud puts patients at the center of care, giving providers a deep understanding of them (demographics, communications, clinical and non-clinical information, and data from EHRs and wearables) to deliver insightful, personalized care faster. Patients can access and track their health goals and care plans from any device, while providers unlock their EHR data by using it in apps that turn the system of record into a system of engagement. 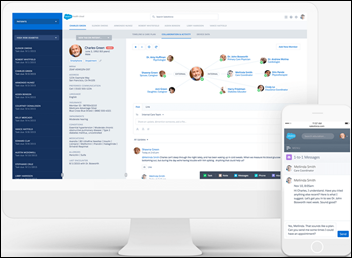 Salesforce Health Cloud is the ultimate patient relationship management platform. The world’s #1 CRM, reimagined for healthcare, costs $300 per user per month (Health Cloud Enterprise) and includes patient health timelines, care team productivity and collaboration, population analytics, patient lists, a patient community, EHR integration, EHR data objects via FHIR integration, and sophisticated security, support, and educational offerings. You can watch an online demo, schedule a HIMSS meeting (or just drop by Booth # 2675), and see Fitz and The Trantrums live Tuesday night of HIMSS week at the company’s party at BB King’s. Thanks to Salesforce for supporting HIStalk. I found an intro video for Salesforce Health Cloud on YouTube. 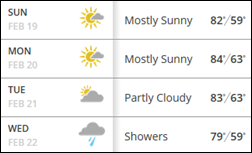 Orlando weather looks good, especially for those now buried in snow: the extended forecast says the HIMSS conference will kick off Sunday with 82-degree sunshine. 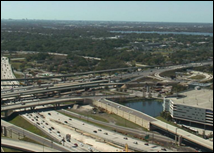 Northeasterners may be shocked to emerge into a world of nearly forgotten colors like green and blue, shown in the live webcam shot of Orlando that I took Saturday afternoon. Listening: new from One Desire, a new band from Finland whose Flying-V, swirling-synthesizer, harmony-heavy rock sound is reminiscent of Asia, Survivor, or Journey. Fresh nostalgia for fans of 1980s album-oriented rock only. Or, there’s Charly Bliss, which is good once you can get past the helium-sounding vocals that remind me of Kristin Hersh of Throwing Muses. A Black Book survey finds that 70 percent of hospitals don’t use any electronic patient information that originates from outside their EHR. The VA indicates that it will pursue a commercial EHR, with the GAO saying that system should be Cerner since the DoD uses it. The Department of Defense goes live at its first MHS Genesis EHR site, Fairchild Air Force Base. The Advisory Board Company is reported to be exploring strategic options following share acquisition by an activist investor. Internet company J2 Global and its Ziff Davis subsidiary may sell off the less-profitable parts of freshly acquired Everyday Health, which runs sites such as MedPage Today (acquired 2010), KevinMD.com (acquired 2010), MayoClinic.org (partnership signed 2009), and Cambridge BioMarketing (acquired 2015) as well as hospital marketing firm Tea Leaves Health. Publicly traded J2, which also owns PCMag.com, bought the company for $465 million. It admits that Tea Leaves Health, acquired for $30 million in August 2015, may never make money. J2 will also lay off 7 percent of the workforce and combine two offices, but its Medpage sites seem safe. Arkansas Children’s Hospital (AR) will switch from Meditech to Epic in November 2017. Crawford Memorial Hospital (IL) will go live with a BD Pyxis MedStation automated dispensing cabinet system in April 2017. Sitka Community Hospital (AK) will go live with an Omnicell automated dispensing cabinet system in 2018. Scotland County Memorial Hospital (MO) will switch from TouchPoint Medical MedDispense to a BD Pyxis MedStation automated dispensing cabinet system In June 2017. New London Hospital (NH) will switch from BD Pyxis MedStation to an Omnicell automated dispensing cabinet system in summer 2017. Audacious Inquiry hires Samit Desai, MD (Saint Agnes Healthcare) as chief medical officer. Definitive Healthcare adds episode of care data for hospitals and post-acute care facilities, helping users to understand cost variance in high-impact procedures and conditions covered by CMS Bundled Payments for Care Improvement and Comprehensive Care for Joint Replacement programs, made possible by the company’s incorporation of ICD-10 claims data a few weeks ago. Rauland and Versus Technology announce bi-directional integration of their respective nurse call and RTLS systems. 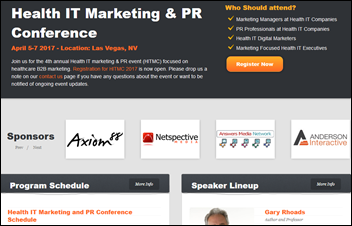 Registration continues through March 6 for the Healthcare IT Marketing and PR Conference in Las Vegas April 5-7. Register with promo code “histalk” to save $300. I agreed to mention the event in return for a free pass that I offered to the first responding reader willing to write what they learned on HIStalk afterward, so look for that report later. I missed this from a few weeks back. A CMS review of Medicare Advantage Organization online provider directories finds that 45 percent contain inaccurate provider contact information or incorrectly state that the provider was accepting new patients. CMS was following up on the results of a study of dermatologist plan directory listings in which 46 percent were duplicates and only half of those remaining had correct contact information, accepted the stated insurance, and were willing to schedule a new patient visit. 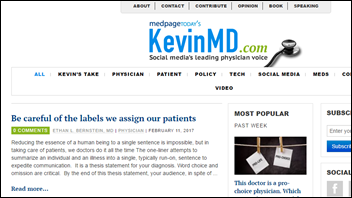 CMS found common problems: medical groups list all their providers at each location regardless whether they actually see patients there; the Medicare Advantage providers don’t validate their provider information thoroughly; and doctors listed as active had often had been retired or dead for years. The studies will continue through a second round. Marathon Pharmaceuticals, whose CEO’s previous company acquired old drugs cheap and then jacked up their prices, will sell a 1990s drug that costs $1,600 per year in Europe for $89,000 per year for US patients with a rare form of muscular dystrophy. 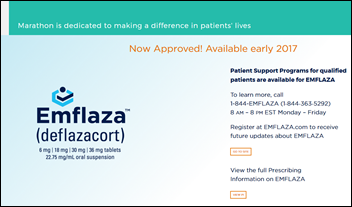 Marketing the drug, which offers modest improvement rather than a cure, also earned the company a free FDA fast-track voucher that it can sell to any bidder, which in the past has profited the holder by up to $350 million. The company’s CEO also founded the Chicago-based healthcare technology incubator MATTER. The safest treatment for any one patient, for instance, might be a course of antibiotics; but the larger society suffers when antibiotics are overprescribed … A doctor who did his job properly really could not just consider the interests of the individual patient; he needed to consider the aggregate of patients with that illness. The issue was even bigger than one of public health policy. Doctors saw the same illness again and again. Treating patients, they weren’t merely making a single bet; they were being asked to make that same bet over and over again … To avoid troubling issues, they were likely to order additional tests … In treating individual patients, doctors often did things they would disapprove of if they were creating a public policy to treat groups of patients with the exact same illness. The labor force continues to age because of the Baby Boomer generation and those who are working past 65. Higher numbers of part-time and contract workers, the increasing “gig economy,” and a decline in union membership have led to a 10 percent reduction in employer-sponsored insurance from 2000 to 2010. Widespread opiate misuse has increased mortality in middle-aged, less-educated men who were already hit hardest by unemployment. Higher unemployment has encouraged more people to claim disabilities, with 43 percent of middle-aged, unemployed men reporting having a disability, with many of them taking prescription pain medications every day. The Affordable Care Act raised the number of insured people, including Medicaid, but did not reduce the extent of employer-sponsored insurance. 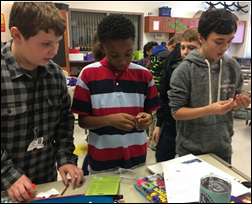 It created a safety net that mitigated some aspects of the changing labor market. Employers are trying wellness programs to address costly chronic conditions by rewarding good health behavior, but they won’t necessarily see financial benefit since employees might not stick around as long as it takes for their health to improve. Wellness programs may also raise employee privacy issues, the targeted conditions and financial penalties they incorporate may fall disproportionately on lower-income employees. and some aspects of those programs can run afoul of the Americans with Disabilities Act. A hospital inpatient is arrested for drug possession after nurses revive him from a narcotic stupor, only to find that “numerous” visitors afterward were bringing him more heroin. 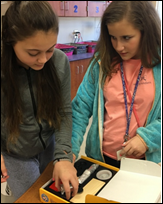 Verscend Technologies’ HEDIS Measure are certified and ready for the 2017 season. For the HIMSS app you could just turn off Location Services for it (not sure what the Android equivalent is). All the “benefits” without Big Brother. Any HIMSS app that relies on cellular data during the show can just be deleted. 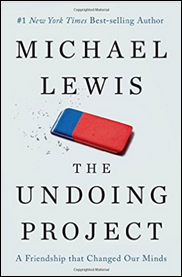 RE: The Undoing Project.. it’s a great read that takes one through the rise of two Israeli psychologists in setting the psychology and medical world on end with their declaration (and proofs) that humans are actually pretty bad at making a lot of Decisions due to a variety of heuristics and biases that actually protect us in many cases from an evolutionary perspective. Like other Michael Lewis books, this is about the people and their journey, but along the way he introduces decision making theories and practical examples that help the reader really understand some rather complex science. I just finished reading that part, and it was unclear whether the “simple computer algorithm was superior to humans in identifying lung cancer” just within the same dataset that was used to derive the algorithm, or if stage 2 testing demonstrated that it was also superior to humans on a new patient dataset. As a long time HIMSS attendee, it amazes me how many vendors don’t clearly display their business purpose/objective. If I can’t figure out what they do in 10 seconds I usually just walk by. If an unknown vendor wants me in their booth, they first have to help me understand what it is they do. Next, it has to be something that is pertinent to me or innovative. Then, they need to have friendly and alert representatives. RE: HIMSS. I agree with 20+ above. It is very difficult when standing in front of many booths to quickly determine just what they do. All seem to have the common buzz words that are active at the time ex: “Meaningful Use”, “HIPAA” etc., but this tells me next to nothing about THAT company. My other gripe is that HIMSS is not a good use of time or money for most vendors, however they MUST be there or they feel they will be overlooked. Keep in mind the 3 real reasons to attend HIMSS – entertain/schmooze current clients, look for investors/partners for your new start up, or personally look for a job by booth surfing. Imagine applying the $100K that even a moderate company spends all in on HIMSS, on a targeted marketing campaign to rifle shot just who are their best prospects. In the past 20+ years, I have led HIMSS booth participation for a F100 company, and stood booth duty for others. ALL of my current/past employers insisted on going each year, taking 20-30 people and spending serious 6 figures. I will be in a booth again this year and will make every effort to ensure my company gets their money’s worth and more. Past experience however, shows just a handful of qualified leads, with nearly none ever going past the first follow up call. I can count on one hand the number of sales I or my teammates have ever made in the past 20 years from a new encounter at HIMSS. Others here may have had a different experience.